A long long time ago, I met a lovely bloke online ... in a chatroom called Travel and we became friends. He was one of many really good friends I made there. There was Mary Lou and Marco, Diede and Eltje, Maddalena and so many others. We're all still friends today but it was Rob, the Scottish guy who used to live in Australia that I wanted to write about here. He and his wife moved back to this side of the world a few years ago, to Ireland of course, that lovely Scottish couple. And we were once again on the same side of the world. We wandered over to stay with them there in Oughterard back in 2011, it my first time driving in years. Oh how I loved that! And days unfolded with visits to stations of the cross up in the hills, tree-creatures, and we met highway robbers there too. 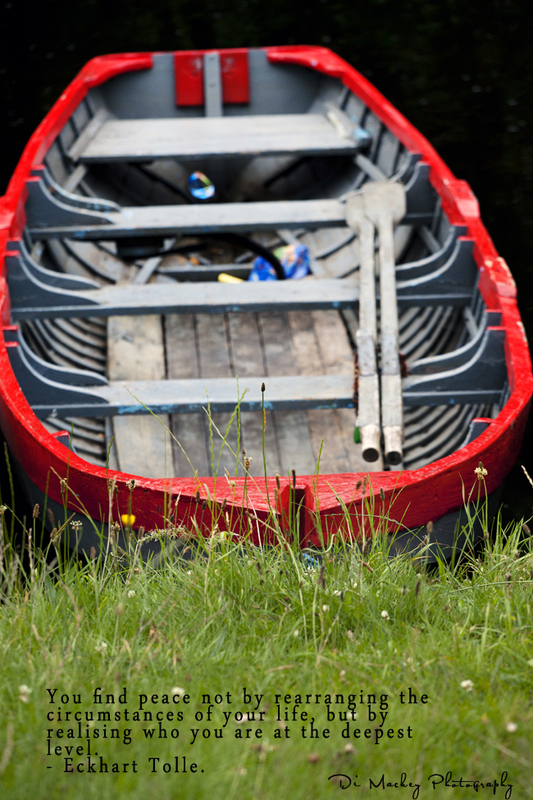 Today I remembered it all when I found the red rowboat photograph from Oughterard.